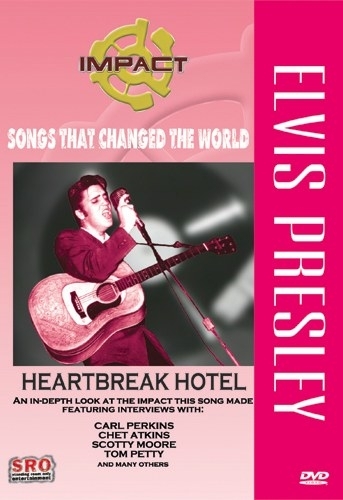 From The Impact Series, Songs That Changed The World - featuring Elvis Presley: Heartbreak Hotel was not Elvis Presley's first single but it was destined in many ways to define the Elvis persona and arguably become the first rock 'n' roll record. It was a song of teenage angst. 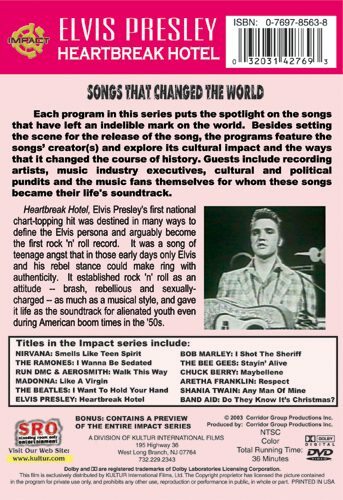 It established rock 'n' roll as an attitude -- brash, rebellious and sexually- charged -- as much as a musical style and gave it life as the soundtrack for alienated youth even during American boom times in the '50s.